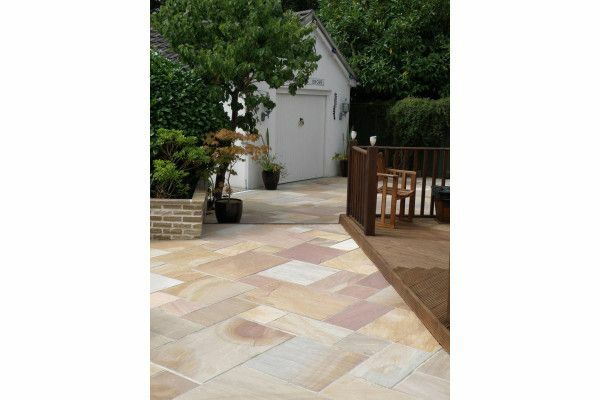 A beautiful riven natural stone, the Harvest single sizes pack is mixed with light and dark pink swirls combined with base colours of golden yellow, brown, grey and cream to create a patio rich in vibrant colour. 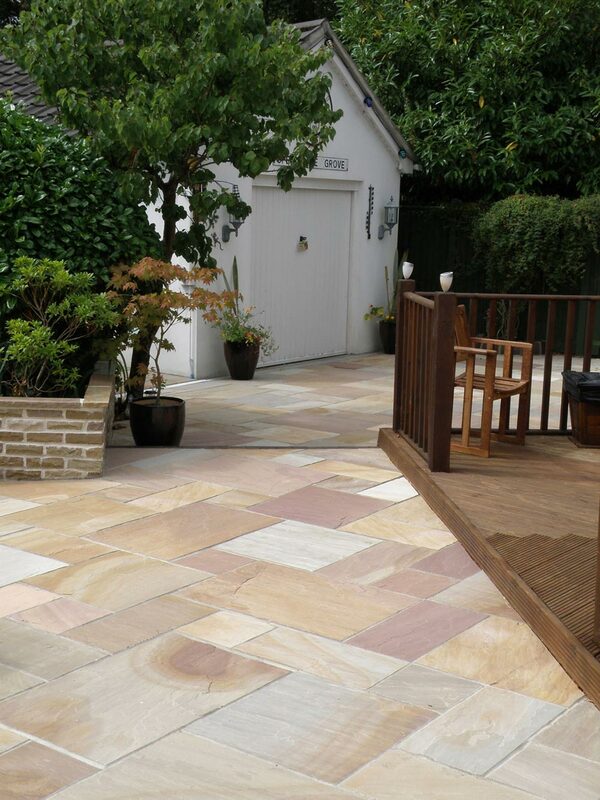 The stone is a traditional dressed natural flag providing durability and elegance. It is calibrated to a depth of 24mm.